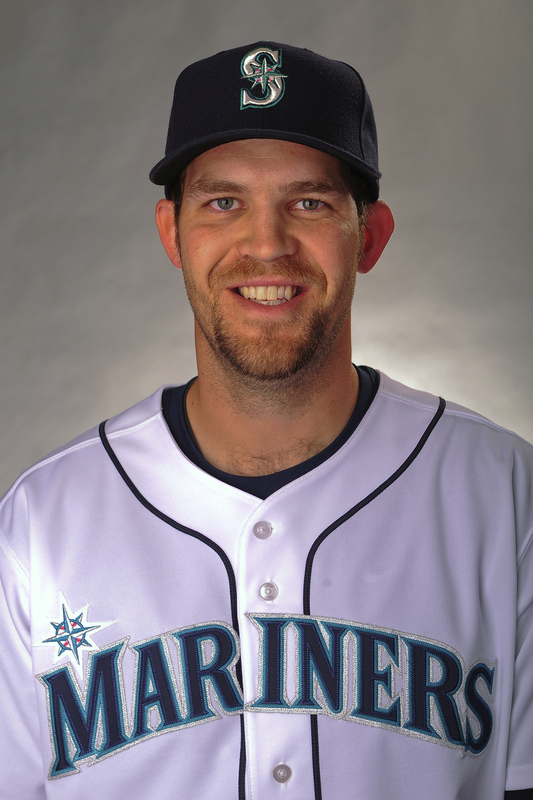 By now, many people know the background story of new Seattle Mariners pitcher Tom Wilhelmsen: after a great debut season for the Milwaukee Brewers Class A affiliate in 2003, Wilhelmsen tested positive for marijuana twice and was suspended by the Brewers for the entire 2004 season. The following year he retired, bartended full-time at The Hut in Tucson, Arizona, and then backpacked around the world. Now fast forward to 2009, when he decided the itch to pitch was back. After pitching for the independent league Tucson Toros, Wilhemsen had a 15-minute tryout for Mariners GM Jack Zduriencik, and was signed by the Mariners to get his second shot at his dream of reaching the Major Leagues. 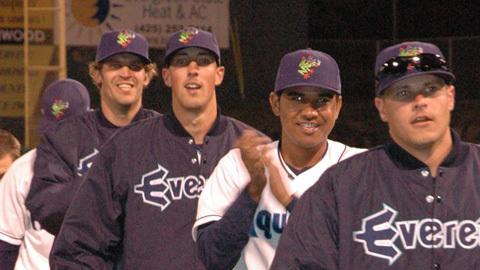 For the AquaSox, the Tom Wilhelmsen experience started on July 16th, 2010 when he was assigned to the AquaSox after a stint with the Peoria Mariners. 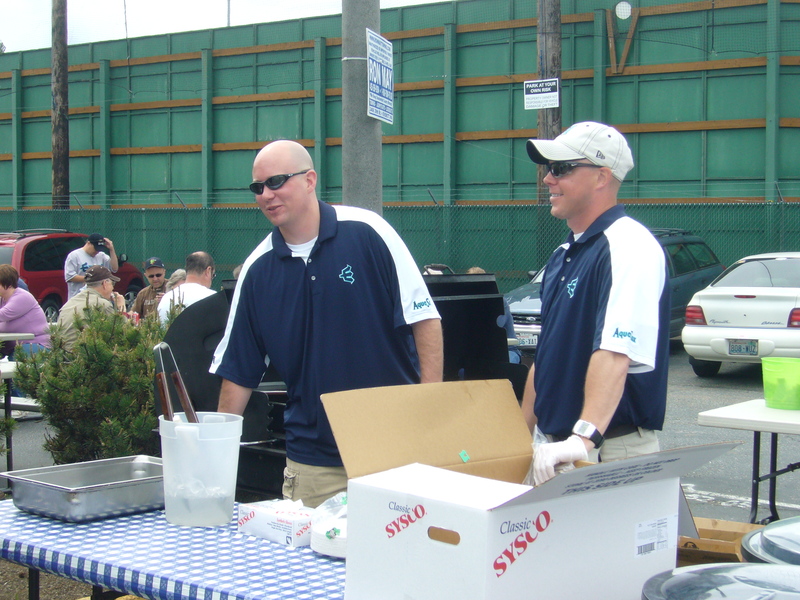 Due to the AquaSox schedule and his positioning in the rotation, Tom never got the chance to pitch for the home crowd at Everett Memorial Stadium, but he did manage to make his mark regardless. He started three road games for the Sox, going 1-0 with a 3.68 ERA and 14 strikeouts. At home, he became a fan favorite to a crowd that never got to see him in action. On a day he wasn’t pitching, Wilhelmsen stayed after the game and led Launch-a-Ball as MC, pointing out prizes while ducking and dodging the tennis balls that flew on to the field and in to hula hoops. He also helped lead the celebration as the AquaSox clinched their spot in the playoffs with a walk-off win against Eugene on July 19th. Even after getting called up to the Clinton LumberKings, Tom’s ferocious instructions for the fans to “UNLEASH…THE… EEEEEEEE!! 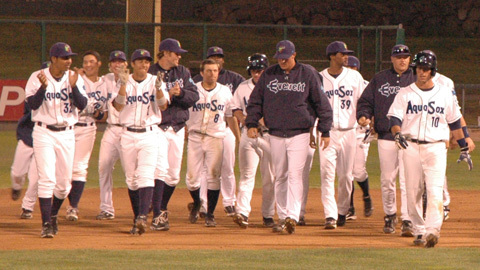 !” lived on in the AquaSox intro video for the NWL playoff run. In Clinton, he went 6-1 with a 2.23 ERA and 73 strikeouts on his way to being named Midwest League Pitcher of the Week two weeks in a row. Now, less than 9 months after making his debut with the AquaSox, Mariners manager Eric Wedge and pitching coach Carl Willis have informed him that he has a spot in the bullpen with the major league club, and will be starting the season in Seattle. We have caught up with Tom several times since he was called up, including a visit at the Arizona Fall League where he was working on his control and secondary pitches with the Peoria Javelinas. 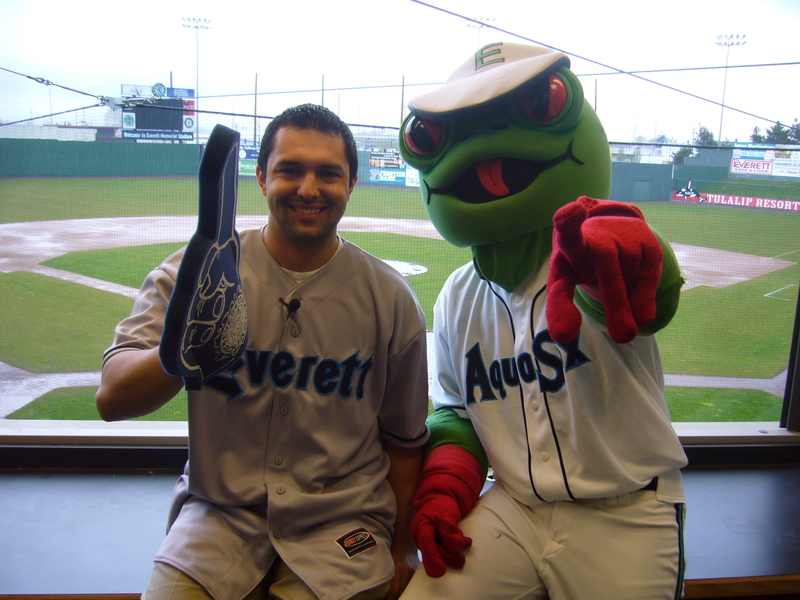 Tom told us that although his time in Everett was short, the people he met and the atmosphere created by Everett’s fans made it a memorable experience for him. He also has a visual reminder of his time in Everett: a pretty impressive NWL Championship ring. 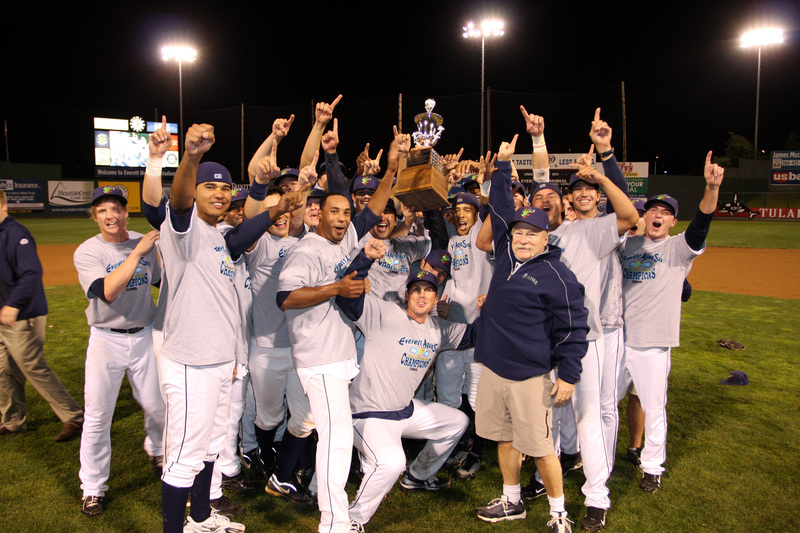 While Tom wasn’t here to be a part of the final game, he cemented his place as part of the 2010 AquaSox in the hearts of his teammates, coaches and fans & now takes his place as an AquaSox Alumni. When he starts the season with the big league club, there will be plenty of fans making the drive down from Everett to see him in action… it’s about time they get a chance to see him pitch in person. Basketball season hasn’t even begun yet, so it’s far too early for March Madness but that doesn’t mean there isn’t a bracket ready to pass around your office. It’s that time of year again for Minors Moniker Madness!! If you’re thinking ‘huh? ?’ you’re probably not the only one. For the last few years, Minor League Baseball has decided to embrace the random fun that is MiLB and host Minors Moniker Madness – the search for the best name in Minor League Baseball. 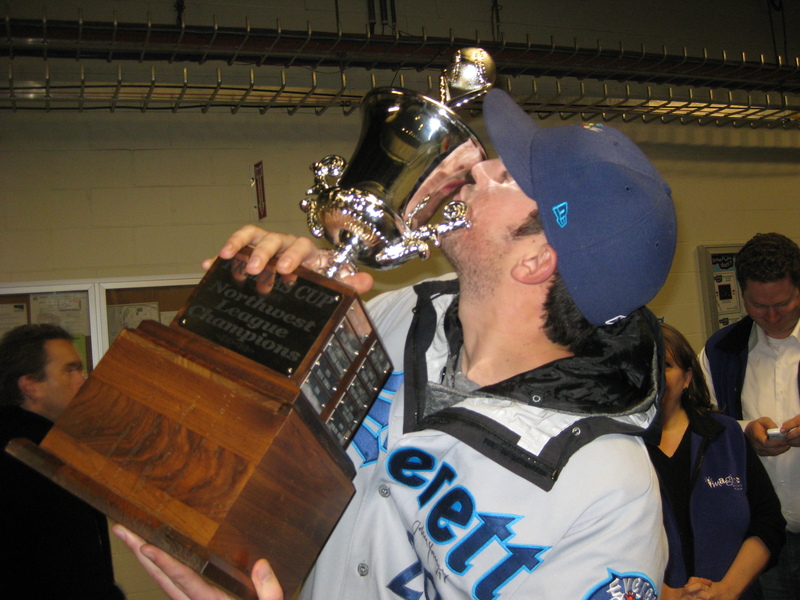 This year two AquaSox are in the running – Forrest Snow and Hawkins Gebbers. They need your votes to advance to the second round so call your friends, email your family, make your signs, Tweet, Post… whatever you can do to help spread the word to AquaSox Nation! You can vote at www.minorleaguebaseball.com/madness or learn a little more about both Hawkins and Forrest at www.youtube.com/aquasoxbaseball. Let’s go fans, help propel them in to the next round! Thank You to our Season Ticket Holders! We just wanted to take a minute to say THANK YOU to all of our great Season Ticket Holders. 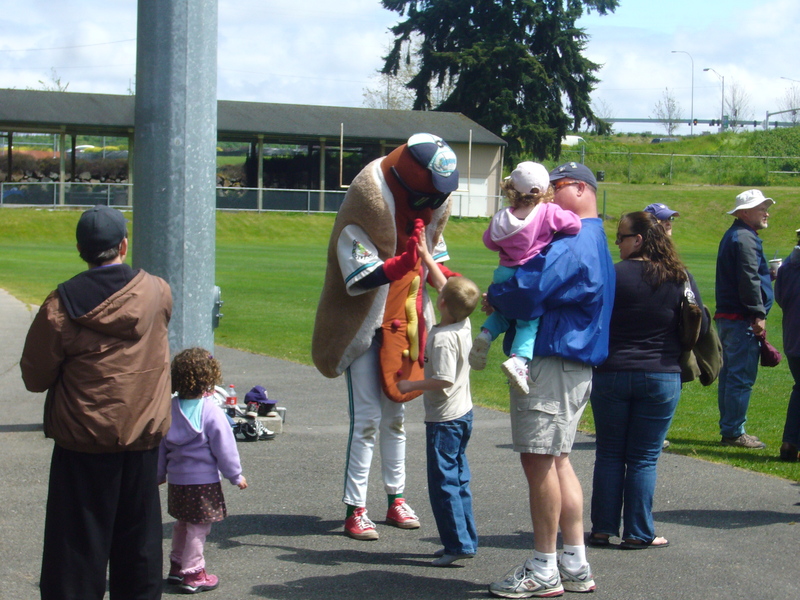 We have some ticket holders that are brand new this year, and some that have been ticket holders since the days of the Everett Giants. 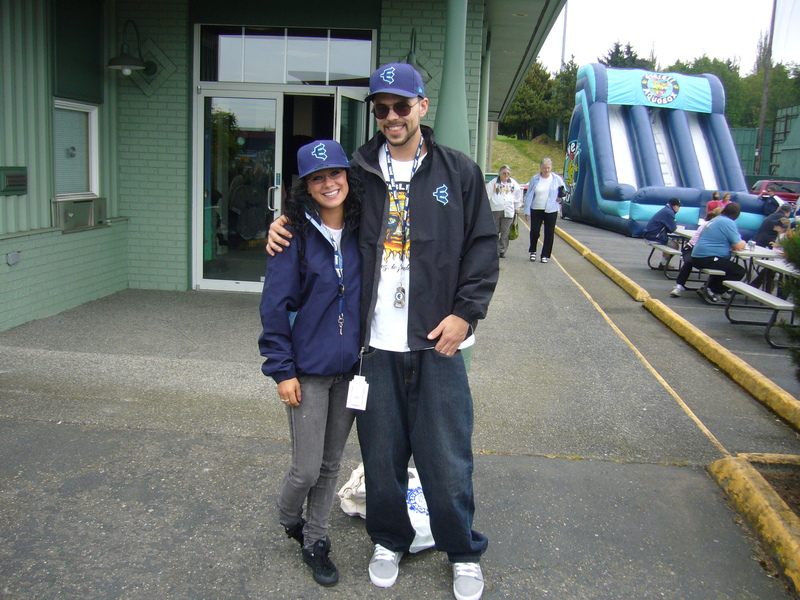 New or returning, young or old, they are a huge part of what makes AquaSox Baseball great! Plus we had new gear on sale, Future Frog shirts were here – so much fun! Thanks to everyone who came, and we are looking forward to seeing all of our fans on Sunday at FanFest (11-3 at the ballpark)! 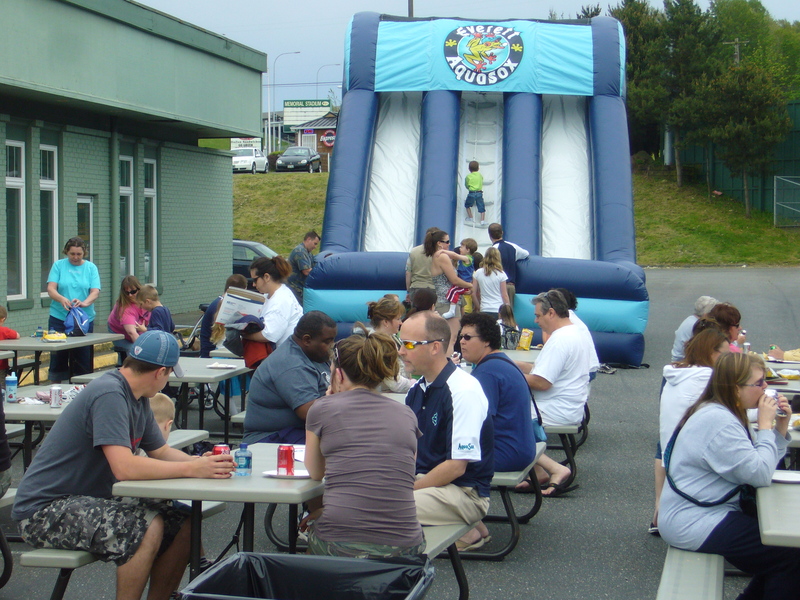 Think You Deserve Free AquaSox Tickets? Show us! Two months from today is Opening Day at Everett Memorial Stadium, and it seemed like the perfect time to give away a pair of season tickets for the 2010 season… so we are! 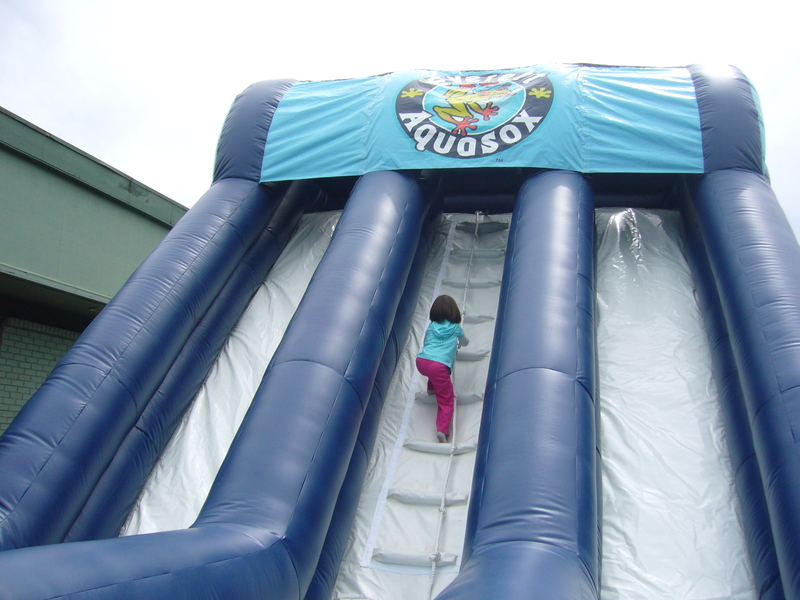 showing us how you are the #1 AquaSox fan. Get your friends, family and school involved… paint a giant AquaSox ‘E’ on your car, get Felix Hernandez to give you his endorsement…whatever you think will prove to us that you deserve AquaSox season tickets. Rules & Regulations: Must be 18 or older or have parent consent to enter. All videos must be received by May 15th, 2010 to be entered. 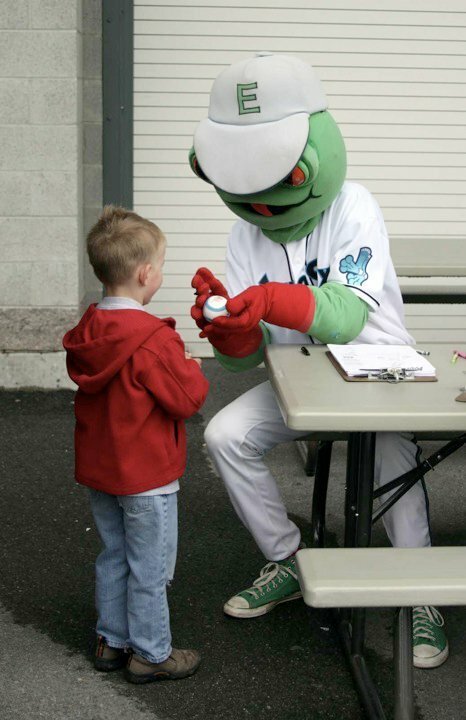 Webbly wants YOU to show us why you are the AquaSox #1 fan! Mariners Opening Day is upon us and that means it is baseball season! It may be a little longer until our Opening Day (70 days, but who’s counting?) but we are absolutely thinking baseball. 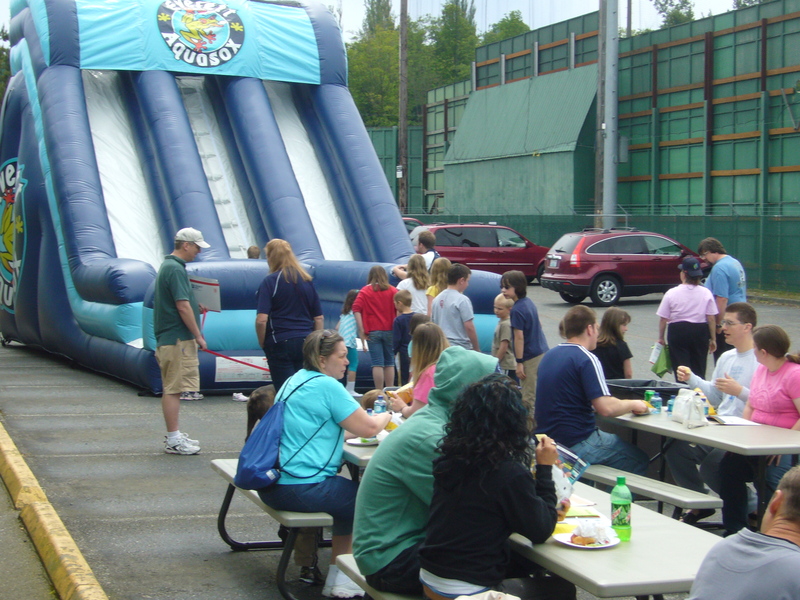 If you’ve thought about buying an AquaSox ticket package before, or even if you just live in Everett or Snohomish County and are looking for fun things to do with your family in the summer, an AquaSox ticket package is perfect. They run as low as $80 per seat for 10 games (in the Upper Box), and even a 16-game plan in our Diamond Club with in-seat hostess service is only $200! That breaks down to $12.50 a game, $3.50 off of our walk-up price of $16. All of that is just the background for our April Ticket Special – if you buy any 10-game or 16-game plan online during the month of April, you get two (2) extra games for FREE. When we call you to confirm all your information, just let us know when you want to have your two other games and they are on the house. That means you get 18 games in the Diamond Club for $200, or 12 games in the Upper Box for $80 or anything in between! 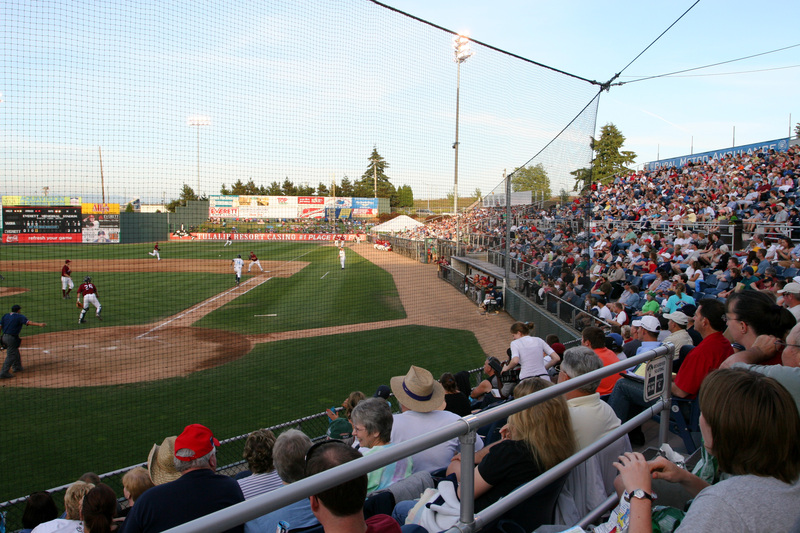 Gotta love a good deal, and what better way to spend your summer than in the sun at Everett Memorial Stadium watching baseball?